"Take away the tools and you are left with the truth" - Tracey J Parker. We specialise in ZERO! If your horse has issues due to previous management or handling, wont box, doesn´t lead quietly at your side or see´s teeth in every rock he passes we can resolve this. We go back to zero, nothing, and quietly work with him or her to find the cause of the issue. We also bring on youngsters in the same respectful manner. Straightness training is employed to resolve imbalances that often manifest as unruly behaviour. 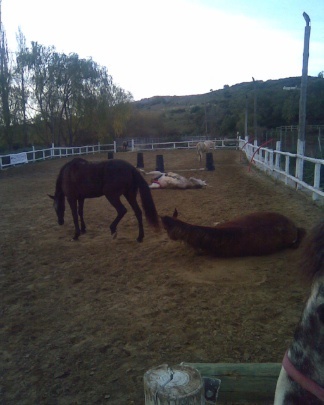 If your horse is in pain they can only ´tell` us through their behaviour or way of going. We listen. No specific system, charts, graphs or personality types are used here. 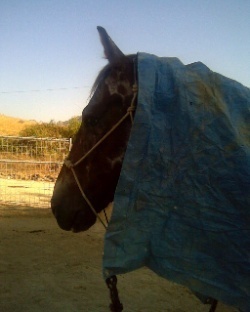 Each horse is assessed for the individual that they are and we work with them until we find what they best respond to. Advocates of bitless riding, all our horses ride without metal in their mouths. Their breaks are in your seat! Indeed we do point fingers at the rider if a horse is not responding how they would like. More often than not the horse is not the one with the imbalance! Offering lessons on rider biomechanic´s we show you how better your horse responds without unnecessary aids. All our horses, including our stallion, ride, trek, compete bitless. First and foremost they are permitted to be horses - the rest just falls into place. No flooding, no heavy imprinting, which can cause learned helplessness. We use positive reinforcement, making for a willing partner. Constantly evolving as we always ask and question every aspect of husbandry, because we want to ensure our horses get the best from this domestic life we have asked of them. Yes, bum-walking on the table is part of learning how to sit correctly on a horse! Pisko happily learning that plastic doesn´t bite! Time for a well earn´t roll. Horses being horses. Please contact us to arrange a personalised program for your horse and/or you. We are happy to come to you for an initial assessment of your horse, within reasonable distance. Details upon request. GROUND WORK being the essential key to all good horse behaviour, I have developed my own methods after years of studying the various commercially packaged options, the old-school methods and using common sense. Using our 15m diameter round pen I school young horses in preparation for riding without charts, programs or games and without force. Each horse is as individual as are we and therefore needs to be treated accordingly. From experience I have learnt that with this good basis our horses respect us and willingly work with us, coming on in the saddle much quicker than with other methods. Even older horses, taken back to basics, can undo bad habits, re-learn and become great, ridable companions again. Resistance and stamina training is also available here. As endurance riders living in the most mountainous country in Europe we have the ideal terrain to bring your horse on to be the best it can be in Endurance. We do not believe in pushing a horse out there, to win 5 times in one year and never be heard of again. As is our protocol for all aspects of well being for equines, we bring horses on with the ethos that we´d rather win once a year every year for 10 or more years!